The OpTac International Police Sniper Program, hosted by the Greeley Police Dept., will be held April 9-13, 2018, in Greeley, Colorado. 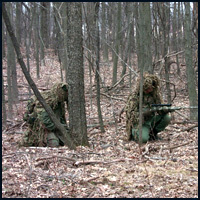 This intense program prepares law enforcement snipers for emergency response operations and surveillance details that require observation and concealment techniques. From basic to advanced techniques, this course will benefit officers without sniper experience, as well as veteran snipers. A strong emphasis is placed on sniper operational tactics, marksmanship skills, urban sniping, fieldcraft/stalking skills, data book entries, and observation/reporting techniques. A live-fire stalking exercise is conducted placing snipers in an operational situation. Attendees must pass the OpTac International written examination and qualification course for successfully program completion and sniper certification. The cost to attend the OpTac International Police Sniper Program is $799 per person. There is limited space available, therefore, paid reservations are accepted on a priority basis.